The property has an armchair for people with reduced mobility, allowing them to have full access to all the facilities in the relaxation area. 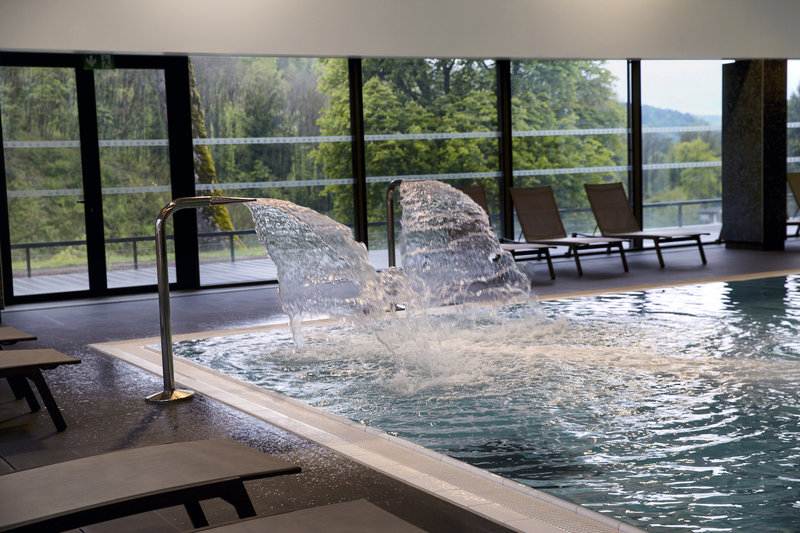 The new centre welcomes you into this bright, understated, soothing atmosphere, where you can enjoy a spa bath, mud pack, jet shower, massage under saltwater ramp and more. Whatever you choose, ThermaSalina will introduce you to a new form of balneotherapy and help you achieve relaxation. For more information about equipment, click here. • Children under 12 years must be accompanied and supervised by an adult. • Saunas, the hammam and the caldarium can only be used by clients aged 16 years and over. Water aerobics sessions in the relaxation pool. In our establishment everything is provided for relaxation and relaxation, so you can if you wish, complete your wellness program by choosing our treatments or our fitness programs.